Being charged with DUI is an easy way to ruin your holiday. This is particularly true when the arrest happens after a serious accident. According to WTVQ, Louisiana police charged a woman with DUI after she drove into an apartment building on Augusta Drive. The crash occurred the day after Christmas at around 3 a.m. One person suffered minor injuries and was treated at a local hospital. Sadly, stories like this are alarmingly common over the holidays. According to BACTrack, an average of 36 people die in alcohol-related accidents every day in the United States. That number jumps to 45 over the three-day Christmas period and to 54 over the New Year’s holiday period. If you were injured or lost a family member due to a drunk driver, contact the Troutman Law Office. Matt Troutman is a personal-injury attorney in Lexington who will help you fight for the maximum compensation. The at-fault driver may be liable for your medical bills, lost income and non-economic damages. Call 502-805-0321 to discuss your case in a free consultation. You can also visit USAttorneys.com to learn more about car accident injury claims in Kentucky. In 2014, there were 672 accidents in the state of Kentucky – and 29 percent of those involved alcohol. At least one-fifth of those crashes involved a driver whose blood-alcohol concentration was over the legal limit, according to Alcohol Alert. 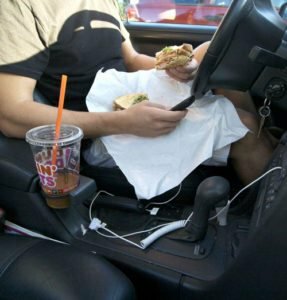 No matter how responsible you are behind the wheel, you cannot control the actions of other drivers. Far too many motorists choose to drink before getting behind the wheel, and other road users suffer the consequences. Is the driver displaying abnormal braking or accelerating patterns? Is the driver using the wrong turn signal or forgetting to signal before turning or changing lanes? Does the vehicle have its headlights turned off at night? Is the driver straddling two lanes? Did the driver almost hit a curb or another object in the road? Is the driver drifting onto the shoulder? Is the driver travelling much slower or faster than the speed limit? Pull over to a safe place and contact the police. 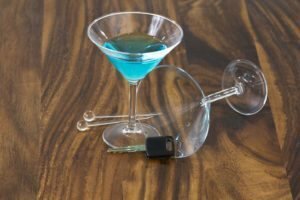 If you or someone you love was injured by a drunk or drugged driver in Kentucky, contact a Lexington personal-injury attorney from the Troutman Law Office. Matt Troutman will help you avoid mistakes during the claims process such as making recorded statements, overlooking certain damages, or accepting a low settlement. Call to schedule a free case evaluation.